The motive of Hot Tub Works is to give you the perfect relaxation time right at your home without having you to spend a fortune. This is our Hot Tub Works Review. Hot Tub Works is an online website which claims to offer you high-quality spa filters, hot tub chemicals, spa covers, and much more accessories at best price. The company is known for its impeccable customer service, delivery, quality and hard to price which is what makes it one of the most reliable websites for all your spa needs. Read on to know all about the company. The company was started in 2006 and has its office in West Chicago, IL. If you are looking for spa products such as new or replacement filters, cartridges, cover lifts, spa parts, and so on, then Hot Tub Works can offer you all the products at the lowest price possible. You can choose by brand or randomly but the quality of the products are never compromised. Hot Tub Works also offer excellent promo deals and coupon codes so that you can buy more and save more. The company has been accredited by BBB and has been rated A+. So far there have been 22 customer complaints registered against the company (over the last 3 years) which has been duly resolved. Hot Tub Works has received 3.93 out of 5-star ratings based on customer reviews at BBB. Only a minority of users seem to have positive reviews to say about Hot Tub Works. We give you few of the best products of Hot Tub Works. Hot Tub Works come with tapered hot tub covers that feature closed-cell virgin foam core insulation. They are not only water and dust resistant but also offer you excellent insulation to cover your hot tub efficiently. The state-of-the-art vacuum heat sealing process prevents moisture invasion thus protecting the investment of the hot tub owner to a great extent. It is made using best 30-ounce marine grade vinyl which can stand the test of time. You will also find 4 locking tie down straps that meet ASTM safety standards. Few of the prominent brands include Cover Valet, Cover Caddy, Covermate 2 and so on. Looking for a replacement or filter cartridges? Hot Tub Works offers you quality filters at best-discounted price from top brands without any compromise on the quality. The company recommends changing your spa filter once a year. Also, it is vital that you clean and disinfects the spa every 3 months for best benefits. Hot Tub Works recommend PLEATCO’s water filter system. While Hot Tub Works suggest Pleatco filter cartridge, there are other options to choose filter replacements such as by dimension or via manufacturer. Calcium hardness (take an accurate reading of chemical balance – calcium hardness, alkalinity and pH levels). Air in the system (small air, tiny bubbles that occurs when the air blower or Ozonator is off, there might be a leak in the pump). Using hot tub & spa chemicals supports you to maintain clean and healthy water. It removes contaminants, balances alkaline, pH levels and supports you to own crystal clear water every day without any fuss. The official website offers you correct guidance on how to choose the right spa chemicals for your hot tub. The company has received both good and negative reviews from users. On the positive note, people are happy with Hot Tub Works. People say that the company is reliable, trustworthy, and the best they have seen so far. Users say that Hot Tub Works offers the same spa brand they have been using for years at a far less price than available on retail stores. Even the customer service and delivery are deemed impeccable by consumers. Unfortunately, as compared to positive reviews, there are many Hot Tub Works complaints and negative reviews available on many websites. People say that the customer support is unprofessional and rude. The delivery quality is too poor and it takes 2-3 weeks to have your product delivered. Some users complain that they did not receive the product they ordered. Also, the product has been poorly packed which lead to leaky or spilled chemical bottles when opened. The company offers excellent discount coupon codes and promo deals on various websites. You can also subscribe to the newsletters through which you will be informed of promo deals whenever launched. So if at all you are planning to buy from Hot Tub Works, you can use these deals to get better savings for your Hot Tub & Pool accessories. The company offers FREE SHIPPING on all covers and orders above $100 anywhere in the contiguous 48 states of the USA. So yes, you need to purchase above $100 if you want free shipping on your orders. Shipping for Alaska, Hawaii, and Canada are based on the weight of the product. However, it takes around 3 weeks to get your product delivered. If you want fast shipping, you need to pay additional shipping charges. It is always better to know your rights before ordering from a website. This way it saves you from any disappointment in case of returns, refunds or any warranty. Hot Tub Works offers 30-day return policy. If you are planning to return unused items, you need to submit an RMA and return them within the specified period for a refund (minus restocking fee of 10%). All the products come with manufacturer’s warranty. Read the warranty period while ordering from Hot Tub Works. What is the address of Hot Tub Works? The office of Hot Tub Works is 320 Industrial Drive, West Chicago, IL 60185. Can I buy hot tub supplies at wholesale price from Hot Tub Works? 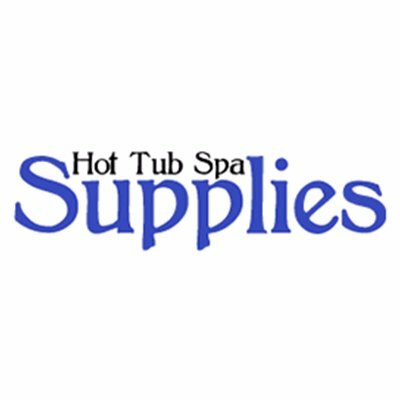 Yes, in fact, all the necessary spa and hot tub supplies at Hot Tub Works are available at wholesale price without having you ask for a discount. Where to buy hot tub supply store near me? You can order from Hot Tub Works online that offers you all the supplies at a much lower price than retail stores. Is Hot Tub Works supplies available at Walmart? Hot Tub Works is an online dealer of all spa supplies who offers you economically priced kits and accessories at a competitive rate which is hard to beat by other stores such as Walmart, Amazon etc. If you are looking for a place to buy all your spa accessories online at fraction of what you are paying at retail, then Hot Tub Works can be considered. The company has been in the field for more than a decade now and is still going strong. We do agree there are complaints but there are faithful customers of Hot Tub Works who still continue to buy from the site for all their spa needs. Plus, the refund policy gives you a satisfaction that your money isn’t going anywhere. To sum it up, definitely worth a try as you have nothing to lose.